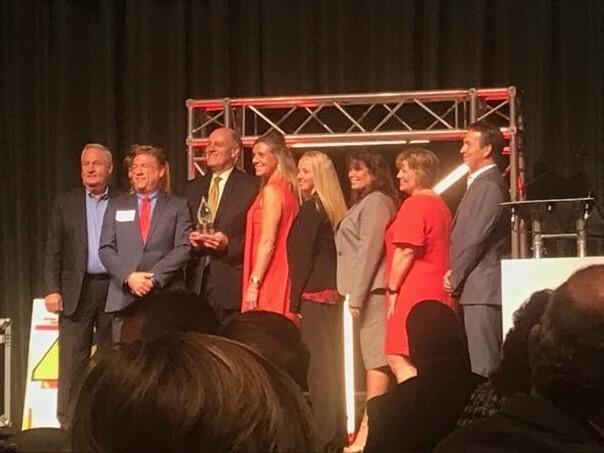 SouthCentral Indiana Economic Development group receives Economic Development Partner of the Year from One Southern Indiana! The SouthCentral Indiana Economic Development region includes: Bartholomew County, Clark & Floyd Counties, Decatur County, Harrison County, Jackson County, Jefferson County, Jennings County, Scott County, Washington County and River Ridge Commerce Center. SOUTHERN INDIANA — Washington County will join Southern Indiana's regional development authority, an entity that will allow the region to apply for state funding through the Regional Cities Initiative. The Washington County Council unanimously voted during a meeting Monday to join the authority. It follows Floyd, Clark and Scott counties. Together, they will appoint a five-member board tasked with forming a vision for the region, outlining how state funding would be spent. If granted, the appointed board would oversee money and execute projects aimed at enhancing the region's quality of life and economic development. "We did our homework and decided if that's the way the state of Indiana wants to dole out funding, then we want to get on board," Washington County Councilman Todd Ewan said. One Southern Indiana president and CEO Wendy Dant Chesser said she is having "active conversations" with officials in Harrison and Jefferson counties. "In the conversations with Jefferson and Harrison both, I think the anticipation is it's sort of like their last month to try this, because the other counties that are ready are ready to start," Dant Chesser said. She expects officials in all participating counties (per law, that's up to the county commissioners) will appoint the five members to the board by the end of October. Though Dant Chesser said officials are anxious to begin, the state hasn't yet announced an application deadline — or a total funding amount. The Indiana General Assembly budgeted $15 million for two years to the Indiana Economic Development Corp. One of the ways it could implement the money is by funding a second round of the Regional Cities Initiative. Another option would be establishing a fourth Port of Indiana. Though there's no certainty that any of the money will go toward the RCI, Dant Chesser said IEDC officials are well aware of Southern Indiana's interest. Abby Gras, IEDC spokeswoman, said the state agency intends to finalize a plan for allocating these funds by the end of the year. "In the governor's 2017-2018 budget, he requested $4 million to continue the momentum of the Indiana Regional Cities Initiative toward improving quality of place to attract and retain talent in Indiana," Gras stated in an email. "We are currently working to determine how to allocate funds to the Regional Cities Initiative within the $30 million that was budgeted for a variety of initiatives." Two years ago, Washington County initially agreed to join the regional development authority as part of former Gov. Mike Pence's Regional Cities Initiative. "We felt pressured to move and then at the last minute, we got shaky and decided to withdraw," Ewan said. At the time, Clark and Scott counties also voted to form a regional development authority, but Clark rescinded its participation when the region failed to meet an application deadline. Three regional development authorities received $42 million in state funding as part of the Regional Cities Initiative in 2015 — meant to make up 20 percent of the total cost of RCI projects. They were the North Central, Northeast and Southwest RDAs. Since then, legislators have removed a regional development authority's ability to exercise eminent domain. Dant Chesser believes that was a "big sticking point" for many local officials. Southern Indiana is the only region moving through the process to create an RDA, Dant Chesser said. It's possible this region could be competing for funding against the four RDAs that didn't receive money two years ago: three across Indiana's midsection — West Central, Central and East Central — plus the Northwest RDA. Hoosier women are creating a legacy of leadership in Southern Indiana. In government, academia, and business, the ranks of female leaders are growing, and on December 10th, 2014, the Radius Indiana region welcomed several women to new leadership roles. 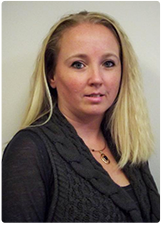 Washington County Economic Growth Partnership Executive Director, Sabrina Burdine was selected to chair the Local Economic Development Organization (LEDO) Advisory Council for Radius, consisting of economic development executives from Crawford, Daviess, Dubois, Greene, Lawrence, Martin, Orange, and Washington counties. These leaders work together to provide counsel and input to the board and staff at Radius Indiana. The LEDO Advisory Council Chair also sits on Radius' Executive Committee. Economic development leaders, like Burdine, focus on the attraction and retention of businesses in their counties, promoting economic growth through capital investment and job creation. Sabrina Burdine is the Executive Director of the Washington County Economic Growth Partnership and newly appointed Chair of the LEDO Advisory Council for Radius Indiana. In the 21st Century, however, development is not limited to county lines. A regional approach to economic development provides the coordination and collaboration necessary to create and sustain a high quality of life and place in each community. That is part of why Radius Indiana exists, to represent the entire eight-county region. "Sabrina has been an outstanding partner in Washington County," said Radius Indiana President/CEO, Becky Skillman. "We are thrilled to have her at the helm of the LEDO Advisory Council and know that her leadership there will help shape another successful year for the entire region. It is certainly inspiring to see women like Sabrina taking more of these roles at the local level." "I appreciate the LEDO Advisory Council's confidence in me and look forward to working with each County LEDO to develop projects that will help to move our region forward and stay competitive," Burdine said. In addition to announcing Burdine's leadership, the Board of Directors also recognized newly minted Greene County EDC Executive Director, Brianne Jerrels, and approved two new board members for 2015. Julia Heitz Cassidy, Vice President, General Counsel and Secretary at Kimball International, Inc. will bring her business acumen as well as legal and professional experience to the board. In addition, the board welcomed Jennifer Vaughan, Chancellor at Ivy Tech Community College in Bloomington. Jennifer will contribute more than 30 years of experience in higher education to her service on the Radius Indiana Board of Directors. Radius Indiana is a regional partnership representing eight counties in South Central Indiana: Crawford, Daviess, Dubois, Greene, Lawrence, Martin, Orange, and Washington Counties. 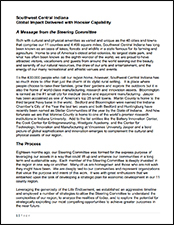 Formed in 2009, Radius Indiana also serves as a primary point of contact in Indiana for Crane and leads regional collaboration by leveraging the diverse assets of Southern Indiana to drive attraction, retention and expansion of business, thereby increasing employment and investment opportunities and quality of life within the region. Effort funded through planning grant from Lilly Endowment Inc.
After more than a year of research, planning and community engagement, stakeholders in southwest central Indiana announced today the completion of a regional economic development strategy aimed at fostering new growth and capitalizing on existing assets in the region, including but not limited to, Indiana University and Naval Support Activity (NSA) Crane. The strategy, funded by a planning grant from the Lilly Endowment Inc., was presented today to regional leaders representing business, education and government at an event in French Lick, Ind. Since the $650,000 grant was awarded in July 2013, hundreds of meetings, interviews and focus groups have taken place at the direction of the planning initiative's steering committee, consisting of eight invested stakeholders and leaders from the region. The committee focused on an 11-county area, which includes Brown, Crawford, Daviess, Dubois, Greene, Lawrence, Martin, Monroe, Orange, Owen and Washington counties. The steering committee worked with the project coordinator Energy Systems Network (ESN) and research consultants with Battelle Technology Partnership Practice. Together they conducted a regional assessment of current and emerging sectors and organized a number of community and stakeholder meetings. In addition, committee members traveled to three "benchmark" regions - Huntsville, Ala.;Knoxville, Tenn.; and Charleston, S.C. - meeting with local business and government leaders to gather additional information. Like the southwest central Indiana region, these benchmark locations benefit from being home to a major research university in close proximity to a federal laboratory. "The benchmarking visits were a critical part of our strategic planning process," said Dan Peterson, vice president of industry and governmental affairs at Cook Group and chairman of the steering committee. "Each was selected as a result of its demonstrated success in coordinated economic, workforce and technology transfer activities. Their processes served as a launch pad for recognizing best practices and an overall sense of the type of strong community commitment required for regional advancement." Listening sessions were also coordinated in all 11 counties by the Community Foundation of Bloomington and Monroe County and Radius Indiana - a regional economic development partnership representing eight counties in south central Indiana - with support from other local community foundations. "This region is ripe with opportunity, and we sought to hear from as many community members as possible," said Becky Skillman, president and CEO of Radius Indiana and a member of the steering committee. 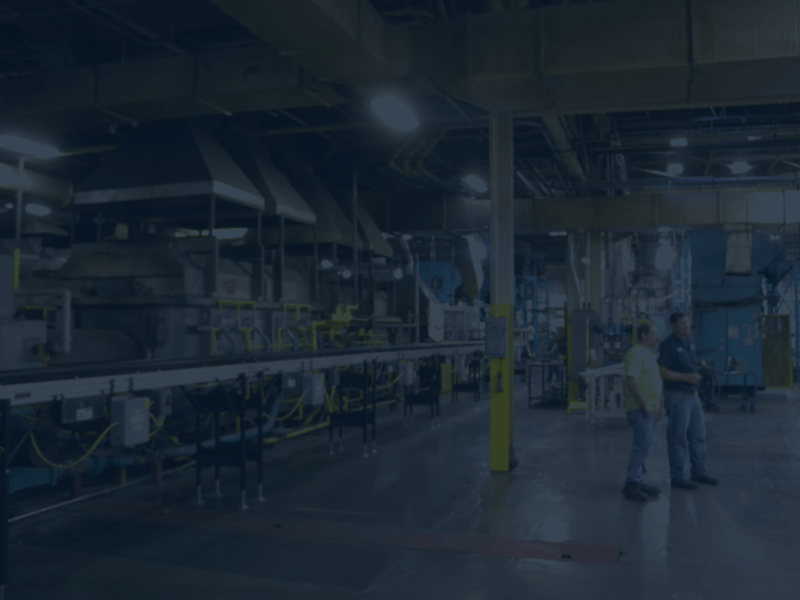 "Radius Indiana is keen on enlisting collaborative, regional support to bring success and growth to southern Indiana, and this strategic plan gives us a significant step forward in optimizing that effort." The plan consists of six interconnected strategies focused on regionalism, workforce development and education, economic development, infrastructure, entrepreneurship, and R&D technology transfer. The assessment of current and emerging sectors within the region helped identify those areas in which high growth could be achieved. Lilly Endowment's grant was awarded to the Central Indiana Corporate Partnership Foundation, which supports the charitable and educational activities of the Central Indiana Corporate Partnership (CICP), and is managed by ESN. "This plan provides a strategy and roadmap for transformational development that can position the region to compete on a global scale," said Paul Mitchell, president and CEO of ESN. "Now regional leaders will begin the hard work of realizing this vision and delivering results." Lilly Endowment In c. is an Indianapolis-based, private philanthropic foundation created in 1937 by three members of the Lilly family -- J.K. Lilly Sr. and sons J.K. Jr. and Eli -- through gifts of stock in their pharmaceutical business, Eli Lilly and Company. While those gifts remain the financial bedrock of the Endowment, the Endowment is a separate entity from the company, with a distinct governing board, staff and location. In keeping with the founders' wishes, the Endowment supports the causes of community development, education and religion and maintains a special commitment to its hometown.